NBC 6 Investigators: Who's Driving Your Kids? Broward County Public Schools was unaware a school bus driver was transporting children for four months with a suspended license and said it cannot find any record of a crash by another driver, even though that driver was cited by police for causing the crash and leaving the scene of the accident, two of the lapses uncovered in an NBC6 Investigators probe into oversight of school bus drivers. Broward said the failure to detect the suspended driver, until after NBC6 Investigators inquired about her this month, was the result of "employee oversight." 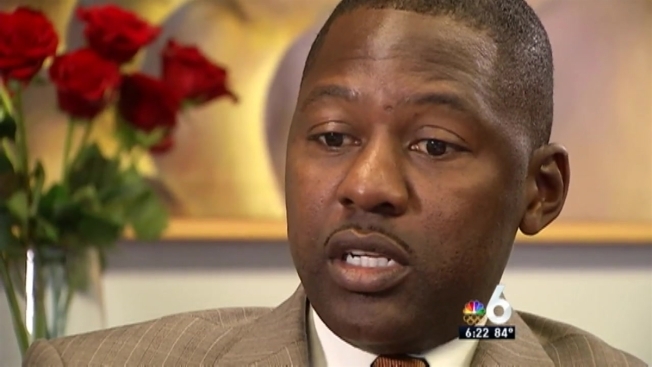 Once Broward administrators were made aware of their mistake, the driver promptly resigned. Our investigation found bus drivers entrusted with thousands of students are breaking traffic laws, but in almost all these cases continue to work, even after committing serious traffic violations such as careless driving, speeding or running traffic lights. We showed videos of school buses running red lights to parents, as they picked up their children. "Running red lights and they are going to court and they are going to dismiss it and going back on the bus? No," said Yamile Alvarez, a Miami mother. "That's something that they have to change. That's wrong, absolutely wrong." NBC6 Investigators found both Broward and Miami-Dade county public schools use a forgiving system which allows school bus drivers, including repeat offenders, to stay behind the wheel after causing vehicle crashes and committing traffic infractions. Records show thousands of traffic citations have been issued to hundreds of drivers in both school districts during the past 15 years for careless driving, failure to use due care, running traffic signs and red-lights, improper change of lanes and other infractions. NBC6 Investigators reviewed driving records, disciplinary actions and other records of over 2,000 bus drivers to find out more about who is driving children attending South Florida’s public schools. Despite claims to the contrary, Broward school officials’ have not always promptly checked state records and taken action against drivers with infractions, including the driver who worked with a suspended license and the other driver who pled no contest to leaving the scene of an accident he caused with a school bus in 2012. Hundreds of bus drivers in both school districts, Miami-Dade (321) and Broward (99), have been cited for moving violations while driving school buses, many of them at least twice. A total of 273 Miami-Dade bus drivers have received traffic tickets for careless driving, with 80 of them cited at least twice, including in their personal vehicles. Last year, 49 bus drivers in Miami-Dade and seven in Broward were caught on camera running red lights, according to data provided by America Traffic Solutions, the Arizona-based company that provides red light cameras to many cities in Florida. Steffond Cone, assistant superintendent for school operations in Miami-Dade, said transportation officials take every traffic infractions seriously. "A very small percentage of drivers are ticketed for the red lights and an even smaller percentage were convicted," she said. "Is it a problem in Miami-Dade public schools? No, it is not. But we address each and every one of them." With 951 routes to transport 59,000 students every morning and afternoon, school bus drivers, working for the fourth-largest school district in the country, spend more time on the road than most drivers, with more likelihood to be cited by police, Miami-Dade school officials said. "In comparison to huge volume of the driving that we do on a daily basis, we like to think that we catch the issues when they come to us, we address them, and again, we stress safety," Cone said. Traffic ticket data shows 99 bus drivers have received two or more traffic tickets for moving violations while driving a bus. Miami-Dade schools policy states any driver caught violating a traffic law "may be subject to dismissal." But in practice, a school district spokesperson told the NBC 6 Investigators, that a termination for traffic violations is rare. The Safe Driver Plan, approved through the collective bargaining process in both Broward and Miami-Dade, gives drivers points for moving violations, including crashes and moving violations involving buses. Drivers, who are also monitored for traffic infractions on their personal time, are not penalized until they are convicted in traffic court or have adjudication withheld. A certain amount of points in a certain time period can lead to discipline ranging from a letter of reprimand to suspension or termination. School officials say that only a small percentage of drivers get enough convictions to face discipline. Consider how lenient the system has been to a 49-year-old Miami-Dade driver. Since she started her job as a bus driver in 2001, she has racked up 37 traffic citations, 12 of them moving violations committed while driving a school bus. Her driving record includes six traffic citations for careless driving, improper left turn, speeding, improper backing and running red lights. In 2013, the school district suspended her for 30 days after they found that she had been driving with a suspended driver’s license for a week. Last year, she got three red-light tickets, two of them while driving a bus. She received convictions for both bus infractions, while the one involving her personal vehicle got dismissed. Yet transportation officials said their hands are tied when it comes to suspending her. School policy only allows them to send letters of reprimand because the two red-light violations total only six points in less than a year and it takes seven points for a suspension. "Until additional convictions or adjudications withheld are posted to her driving record, we cannot assess points under the Safe Driver Plan," said Orlando Alonso, of the transportation department at Miami-Dade,in an e-mail. After NBC6 Investigators inquiries about this particular driver and her traffic violations, transportation officials sent her for re-training. Miami parents can’t comprehend why the system is so tolerant. "It’s not good. Not good at all," Alvarez, a Miami mom, said. "I don’t want someone who has [traffic] tickets driving my kid to school. That’s not good." Jennifer Ortiz, who waits for her brothers, ages 11 and 9, at the bus stop every day said, “They shouldn’t be lenient just to get workers. I think is really important that they monitor every single one of them because they are driving children every day when they go to school." Broward County Public Schools system is similar. The school district uses the same automated school bus driver’s license record system, mandated by Florida state law, to monitor bus drivers’ traffic infractions and an honor system where drivers must report traffic accidents, regardless of vehicle ownership and who’s at fault, and traffic infraction convictions to their supervisor. In a statement sent via email, Broward stated: "Providing safe and secure transportation to and from school is the highest priority of the District’s Student Transportation and Fleet Services Department." But the system allows bus drivers who get tickets and cause crashes to continue driving with little or no penalty. At least 99 drivers have been cited for traffic infractions while driving a bus, 18 of them at least twice. An example is a 55-year-old Broward driver who crashed the school bus last month while driving middle school students -- her fourth crash in a bus since 2009. The time between crashes and the fact she’s only been convicted so far in one of them prevents her receiving a suspension. She was suspended previously for driving while using a cell phone. Jardley Prada, a Miramar mother, said she’s concerned that the current system is enabling bus drivers to abuse it. "It bothers me because they shouldn’t been able to run red lights or have those [traffic] violations," Prada said. Broward’s policy says a driver operating a bus with a suspended license could be recommended for termination. But that can only happen, of course, if Broward is aware of the suspension. As mentioned earlier, NBC6 Investigators found that 51-year-old female drove the school bus while her license was suspended from October 2014 to February 2015 for failing to pay a ticket. Broward told us in a statement that it “takes appropriate disciplinary action when deemed necessary,” but NBC6 Investigators found they didn’t even know her license was suspended. In response the district now says it "is adding additional levels of review at an administrative level to ensure compliance." On an early morning on Sept. 7, 2012, a 68-year-old bus driver struck a mailbox in Coral Springs and left the scene without reporting the incident, records show. The driver was cited with leaving the scene of an accident with property damage and improper backing. He pled no contest, was convicted and had adjudication withheld for both citations in 2013. NBC 6 Investigators requested records about this crash, but Broward said, it "does not have information regarding an accident on Sept. 7, 2012" – the date that police, the courts and the state say the accident occurred.